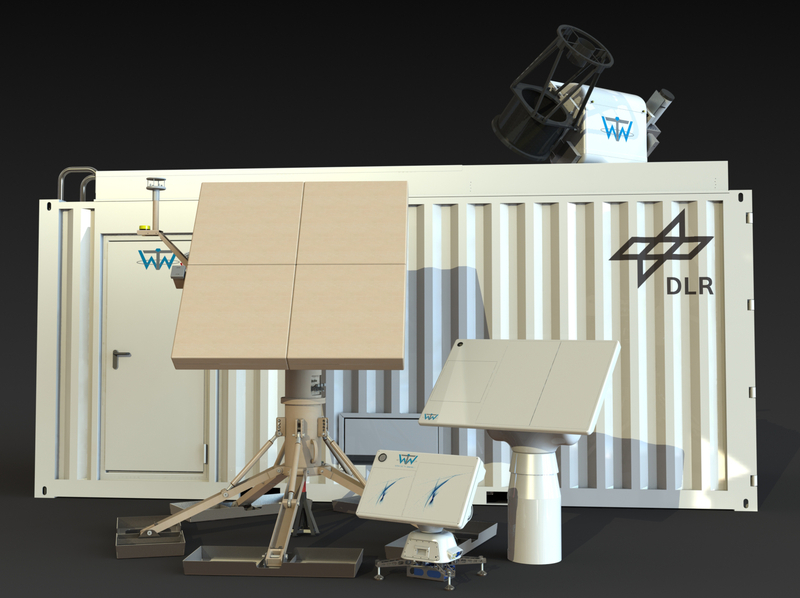 WTW Anlagenbau GmbH is a premium manufacturer for telemetry Autotracking Antennas and Military Generators using the latest technology combined with ultimate performance for Airplane, Helicopter, Missile, Rocket and Drone flight test on Land or Water. The WTW LSC Autotracking Antennas are developed in according to the latest technology to fulfil compactness, last technology, low weight and high efficiency. This was possible with more than 30 years experienced personal in developing robust and long-lasting mechanics and excellent RF features. The Antenna control is over IP through Ethernet with an internal powerful Computer and a clear and easy overlooking display. The external supply voltage is 85V-264V 50/60Hz AC / 120V-350V DC. For the RF and control signals from and to the antenna a rotary joint in azimuth and cable wrap in elevation is installed. The optional integrated Battery makes it possible to let the Antennas run for up to 16 hours without external power. Also a hybrid version with a diesel powered generator set is available to extend the runtime up to days without external power. For the observation in short distance the system is equipped with a compact and powerfull HD camera with an optical zoom of 30x and a digital zoom of 12x (total 360x). 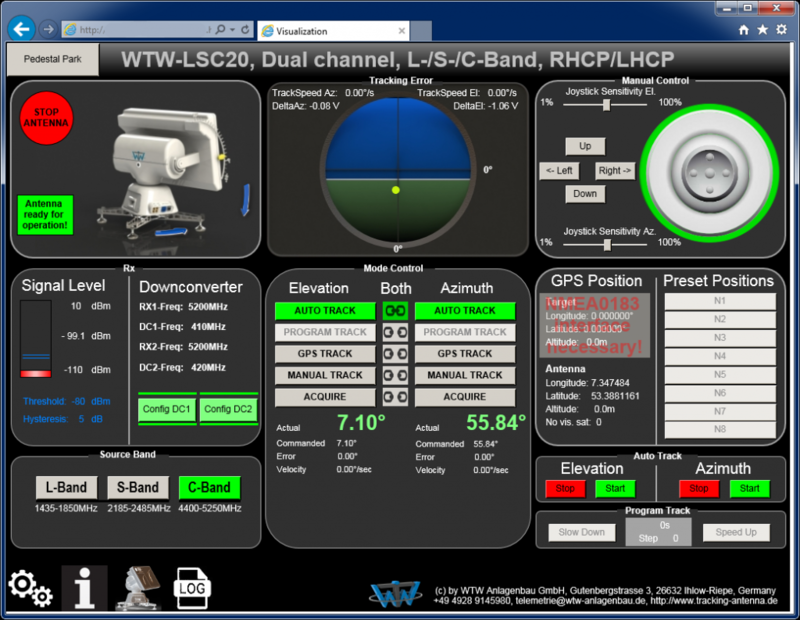 The web based GUI (display) is designed for easy control of the antenna and to show the status of the Setup. Tracking Modes are Autotrack, Slavetrack, GPS Track and Manual Track.